Join us for our June Chapter Meeting! June 4, 2018 4:30-7:00 p.m.
Join us to hear photo organizing expert, Julie Kessler teach use all about photo organizing. In this engaging presentation, you will learn the three levels of photo collection management. Julie will offer quick tips, best practices and guidelines to help you learn how add photo organizing and management to your business. Julie Kessler is the owner of Picture This Organized, a full-service photo management company providing high quality products and premium services. These include digitizing prints and movies, print and digital organizing, luxury photo albums, and ongoing support of collections. 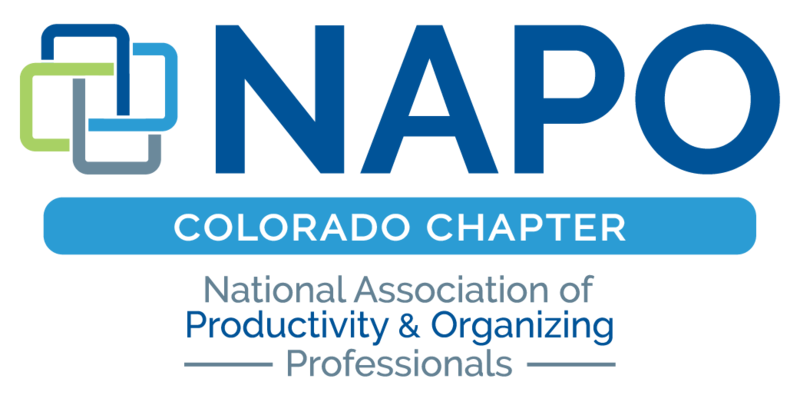 In addition to being an active member of our Colorado NAPO chapter, Julie is highly involved in the Association of Personal Photo Organizers (APPO) - a resource for learning the best practices for this field. She holds multiple certifications and believes in giving back to the membership and leaders through mentorship, training and advising. She and her team have been helping families with their photo collections since 2011. Free for NAPO CO members. Free for one-time Corporate Associate Business visitors. $35 for professional organizer guests.